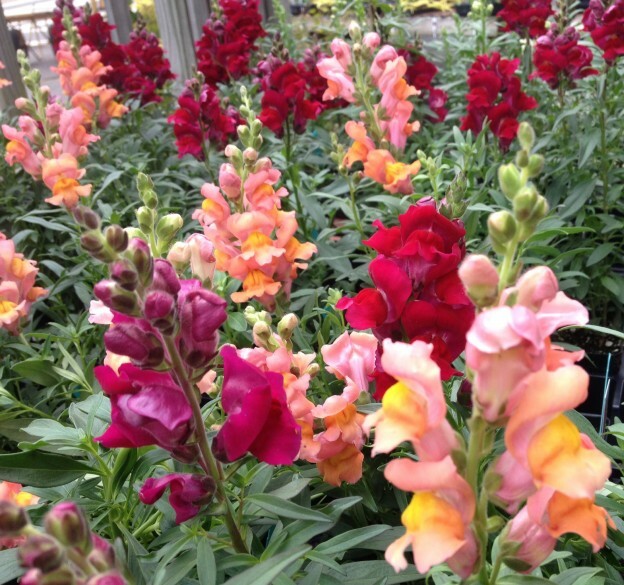 Snapdragons – Plant This Fall for Cut Flowers Next Spring! Snapdragons! These childhood favorites certainly deserve a space in our spring gardens. Planted in the fall, these annuals will survive a normal Birmingham winter and give us glorious springtime color. I’ve discovered that since their bloom time always seems to come after the pansies and violas have begun to fade in the late spring heat, that placing them in garden beds intermingled with perennials, roses and poppies is the best way to enjoy them. There’s simply nothing like a spring garden with snapdragons in it – and they are beautiful cut flowers too! 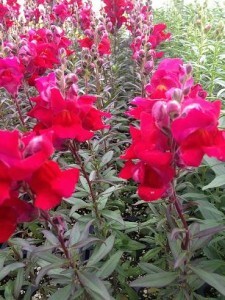 Snapdragons can be purchased in the fall in cell pack flats and in larger pots as well. Many times they’ll be in bloom. 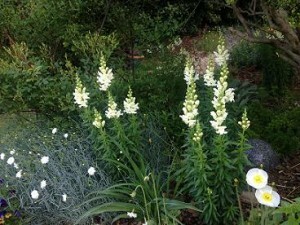 When theses initial bloom spikes are finished, cut them back below the faded flowers. This will ensure they’ll branch and be fuller and more robust. Through the winter the plant’s energy will go into growing roots and strong leaves – the beautiful blooms next spring are your reward! Be careful not to overwater your snapdragons, especially very young, newly transplanted ones. Let them dry out a bit between watering since their root systems can easily be overwatered at this stage and will not recover from it. If they have been overwatered, the plant will wilt, looking for all the world like it needs water. If, after being given some, your snapdragons continue to look droopy, it’s best to pull them out and try again with fresh plants. This entry was posted in Annuals, Flowers, Planting Tips, Spring, Winter and tagged fall flowers, fall planting, snapdragons, spring garden on October 15, 2014 by Kris Blevons.